Tourism in Brussels enjoyed a boost in 2018 - with hotel stays up 8.7% thanks to a boom in city-trippers. For the first time last year, the number of hotel nights for leisure purposes matched the number for business travel, according to the latest stats from Visit Brussels. Visitors spent 8.5 million nights in the region's tourist accommodation - not just hotels. The 8.7% increase is one of the biggest rises in hotel occupancy rates throughout Europe in 2018. 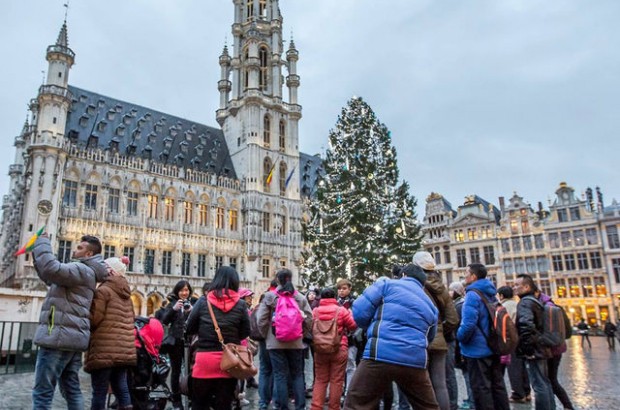 "Following the 2016 terror attacks, we immediately put in place the necessary measures to revive tourism by launching targeted campaigns," said Brussels minister-president Rudi Vervoort. Leisure tourism was up 23% in 2018 compared with the previous year - and hotel occupancy rates grew more at weekends then on weekdays, indicating a shift away from business travel being the most important factor. September, October and November were particularly successful months, with occupancy rates close to 90%.